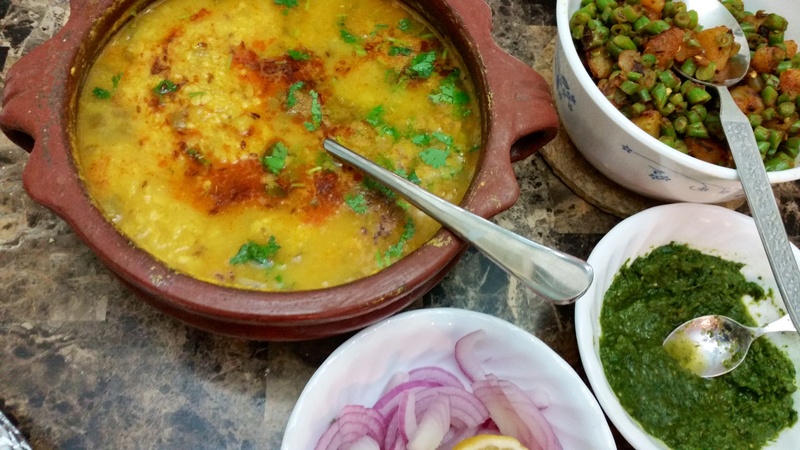 Udad ki Dhuli Dal is a lighter simpler cousin of the more popular Punjabi Sabut Udad. 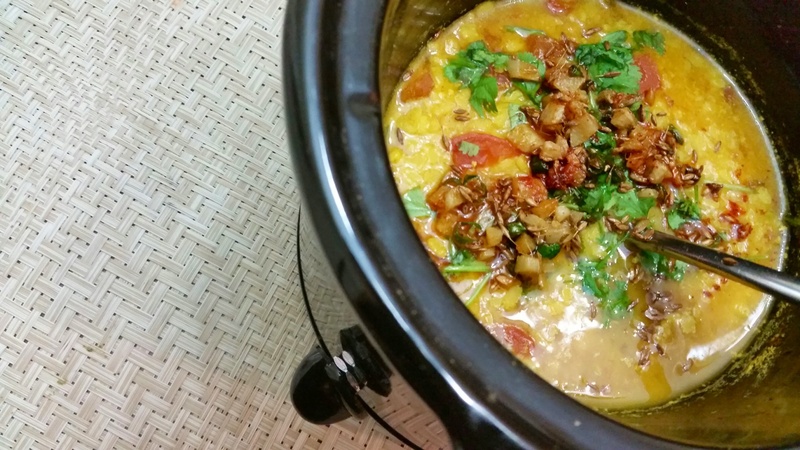 This dal has it’s own set of die-hard fans who love it’s unique delicate texture and flavor. 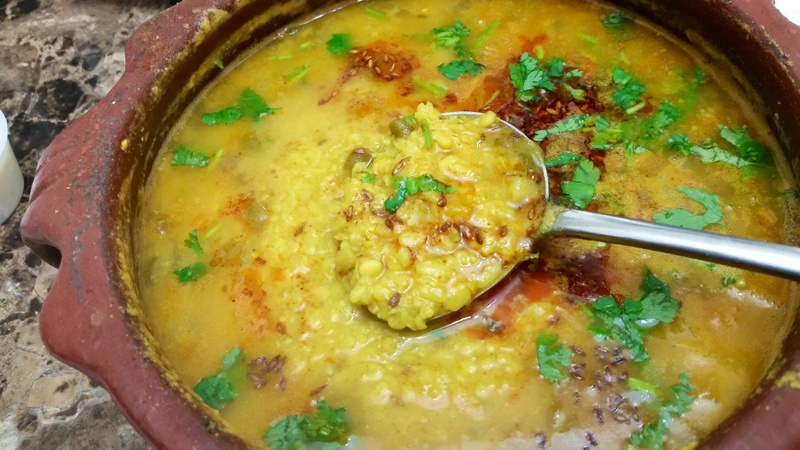 However cooking this dal can sometimes prove to be a CHALLANGE, as…if over cooked it can turn into slimy mush and under-cooking leaves it chewy. To avoid these pitfalls I’ve found that the best way to cook it is open flame slow heat. You can use a heavy bottomed pan, an earthen pot or a crockpot/slow cooker. Add about 6 cups water, salt, 1/2 tsp haldi 1 finely chopped tomato, 1/2 inch finely cubed ginger and 2-3 sliced green chillies. Bring to boil. Remove frothy scum that accumulates on top. 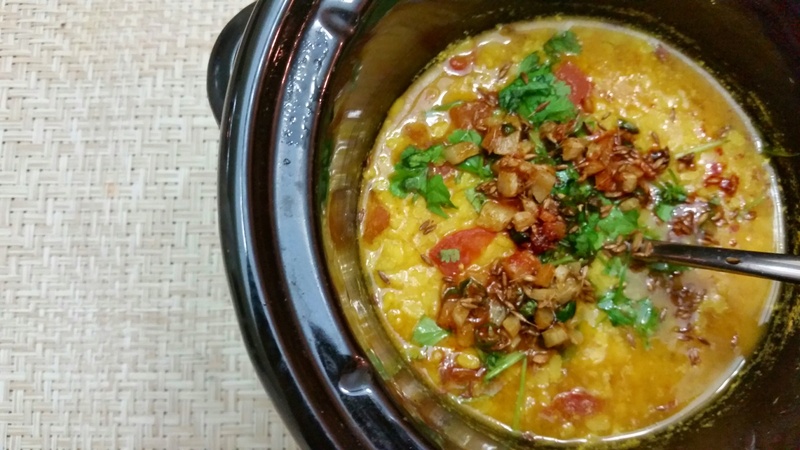 Reduce heat, cover and simmer on low heat till the grain of the lentil turns soft, but still retains it texture. (should not break, or the dal will turn slimy!). Add a little warm water if the dal seems too thick. Adjust salt as needed. Finish with a chaunk of ghee, hing, jeera, lal mirch. Garnish with freshly chopped dhania…serve immediately with hot rotis/phulka and vegetable side!